How to face the challenge of a little known blog without entering the questionable area of black hat SEO? Why does honesty in SEO pay off? Remember how SEO used to go before Google Webmaster Guidelines? Optimizing a website for search engines was a mere collection of tips and tricks that did the job just fine. You could stuff your page with keyword; you could build a gazillion of low quality backlinks and get rewarded for that. There are webmasters and SEOs who still attempt to ‘optimize’ their websites (or their clients’) using these old tricks, but they end up with a penalty or they don’t get indexed at all. That’s because they miss out on today’s most important SEO asset: honesty. I’ve always believed in honesty. I apply it in all things in my life. But I didn’t realize how important this virtue was in SEO until I started to use SEO for work — and no matter how much I may personally dislike Google’s guidelines and defy them whenever I can, I realized I can’t do the same with my clients’ websites. Being ‘honest’ in Google’s terms means certain things over others and I had to be honest in Google’s terms to make things really work for my clients. This article is a short case study that takes directly from my 17-months experience as a ghostblogger with SEO and social media duties for a team of blog owners that will remain anonymous in this post, and that I will call ITIPComp (the name is completely fictional). When the ITIPComp team e-mailed me to inquire about my writing services, they were not just concerned about their rankings, but they also had a urge to build up their blog’s reputation and attract traffic and a human following. Get traffic and rankings from Google. The first time the ITIPComp team contacted me, all they needed was a writer. My job was to come up with 3 short articles (500-600 words) a week and to use keywords in a way that would help the blog rank and gain traffic without falling in Google’s bad book. There was a big problem with that newborn blog, though: it was like every other blog in the same niche. It had no special take, no identity. It was never going to rank like that, and if it did, it wouldn’t be for long and users would have had no interest in choosing this blog over another, perhaps more popular. 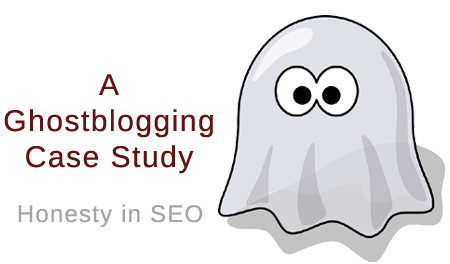 So I offered to tailor our ghostblogging + SEO plan on a specific angle, a take that would tell the blog part from any other and would help the team stand out for their humor, vision and honesty. The ITIPComp team worked together to come up with a logo, a vision and an About Us page that would convey all these traits, then the keywords they wanted to rank for, and topics they wanted to offer to the public. they SEO team previously tried to optimize and I analyzed the number and quality of backlinks and citations her company had around the Web. With my client, I chose to take small steps and to build links and reputation through quality content writing. I’m a freelance blogger, and writing was the first service she hired me for before I became her SEO. So, why not? Interviews through the MyBlogU platform – involved other bloggers with the blog through interviews and citations. Blog Comments – under my ghost (agreed-upon) name or the team name. Comments were consistent with the blog post content and provide value for the owner and their readership to engage with. SEO – all posts were optimized for search engines and we used keywords in titles and hastags on both posts and social. Social Media Updates and Community Involvement – used social media and web communities to post updates on new content available at the blog and to answer users’ questions and help them solve their problems. Content marketing through Social Media and the Kingged web community – user involvement and feedback from all the platforms helped us improve our plan for the growth of the blog. Wise deep linking – we made good use of internal linking to boost rankings and help users find related content. Weekly or Bi-Weekly Communications / Activity Reports (from August 2015) – with percentages of growth or decrease in SERPs and in the traffic rank chart. Social activities were also reported. On the client’s side, the ITIPCorp team worked on some local marketing. The ITIPComp blog slowly but steadly increased in worldwide traffic, Google rankings and reputation. No manual actions were ever present in Webmaster Tools. This blog grew while staying clean in Google’s book. The peak between Jan 10 and Jan 19 was caused by an interview-based blog post we published on Jan 10. The added social shares from the interviewees caused a boost in traffic, confirming the effectiveness of collaborative posts in helping traffic and backlinks grow. The ITIPComp team still needs to work on their blog community and on adding guest posts to the marketing mix, but the work done over these 17 months has laid a solid base for future work. Google’s guidelines encourage webmasters to use an honest SEO strategy to earn backlinks and rankings: if you want to stay in Google’s good book and improve your rankings without risking a penalty, you should stick to these guidelines. Being honest in Google’s terms doesn’t mean you have to just wait and hope your pages get found, liked and linked to: it takes good on-page SEO and marketing effort to keep your blog alive and thriving. It is possible to build traffic and reputation from scratch: it takes more effort, hard work and the patience to connect with other bloggers in the same niche, to be helpful and friendly, to build a community around your blog and to write content that makes the difference in the reader’s life. A genuine, truly helpful social media and commenting activity complements SEO and both complement other forms of marketing (online and offline). Collaboration with other bloggers, interviews and responsivity to feedback can mean a great deal to the growth of your blog. 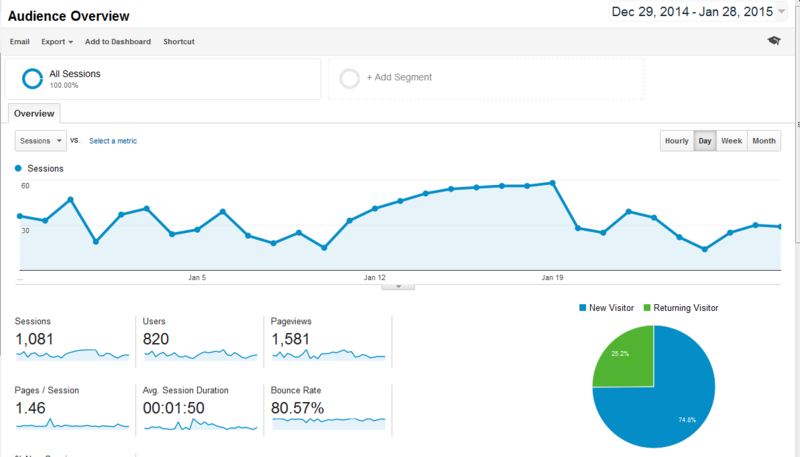 How did you build solid traffic, rankings and a community around your blog? Share your story.